I look back on what happened in my last season here at Iowa, and I'm thankful. Yes, my team lost 19 games last year, but the struggles made me stronger. We might have finished 4-14 in the Big 10, but I'm thankful. It was what I needed to go through. Or rather, it's what God felt I needed to go through. I learned a lot about myself last year. I lost more games in one season than I did in my five years from eighth grade through high school. I played basketball with Celtics guard Jayson Tatum back then, so when I got to Iowa, I wasn't used to losing. Of course, I didn't need to lose 19 games to realize things were going to be different for me. That happened when I left St. Louis to go on my official visit to the University of Iowa, and saw miles and miles of cornfields. That's when you realize you're beginning a new chapter of your life. And for me, that next chapter of my freshman year was even more difficult than last season. I broke my index finger on my right hand, and I had to miss the next seven games. It was so difficult for me to sit there on the bench, not contributing, as our team just missed the NCAA Tournament with an 18-14 record in the regular season. We just couldn't catch a grip on the right direction to go. I relied on my faith to stay positive in that time, and because of it, I was able to face last year so much better. I also have to give credit to my Dad. He was not an athlete back in his day, but he still knows how to relate to me. And he told me to stay grounded and keep working. At one point we lost six games in a row, but there was never a rock bottom for me. Don't get me wrong, losing isn't fun, but it never devastated me. I think that's a sign of progress. But progress isn't how the story is supposed to end. So I am returning for my junior year. When I made the decision to return, it didn’t take me long to realize I had made the right choice. It was the same feeling I had when I signed here. Even after all the losses our team has been through, it still feels like Iowa was the right choice, both then and now. I had dozens of offers from other programs, big-time schools, where I could have maybe won more games. At the end of the day, though, those other schools didn’t feel right. And it’s probably because they couldn’t have built up my character like my struggles here have allowed me to do. 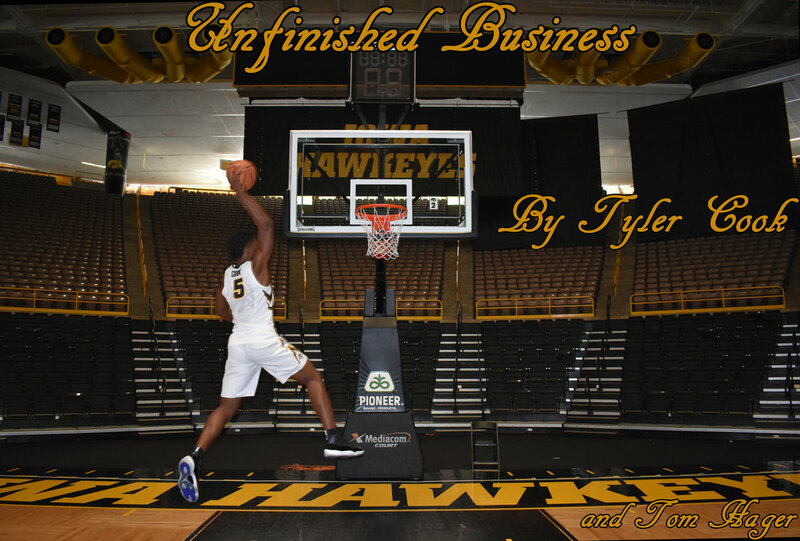 Still, my journey at Iowa isn’t done yet.